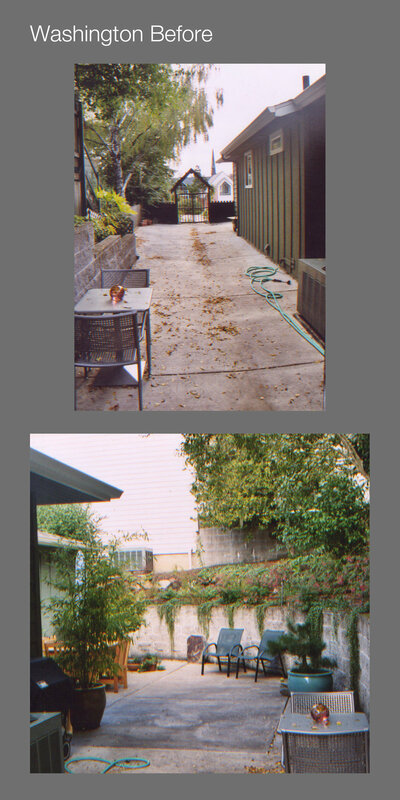 One of Mosaic's most striking landscape transformations, the Washington garden, in Eugene, Oregon, was once an unwelcoming space defined by cinderblock walls, steeply sloping banks, and a bare concrete floor that could not be removed due to drainage concerns. 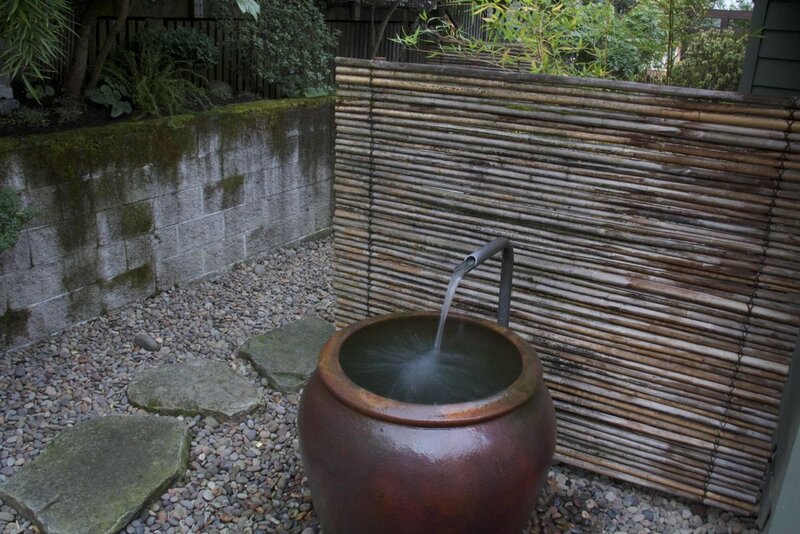 Today, gravel, ipe decking, basalt stepping stones and bamboo screens enrich the Japanese garden-inspired space, while completely hiding the concrete. Every element contributes both form and function. Large, local river gravel covers the concrete and irrigation, allowing water to freely enter the drain system, but visitors only notice its cohesive, subtle texture. 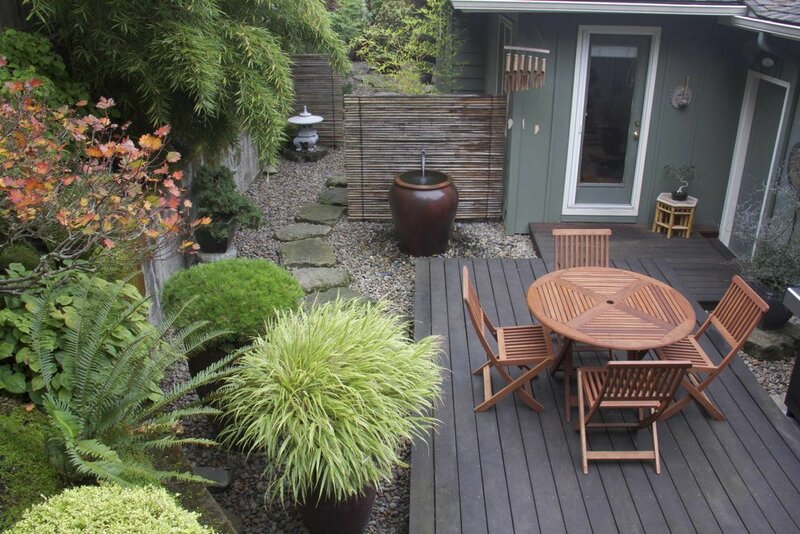 The ipe deck provides a place to enjoy the garden, and its rich color and strong lines contrast with the lighter, organic feeling of the stone elements. 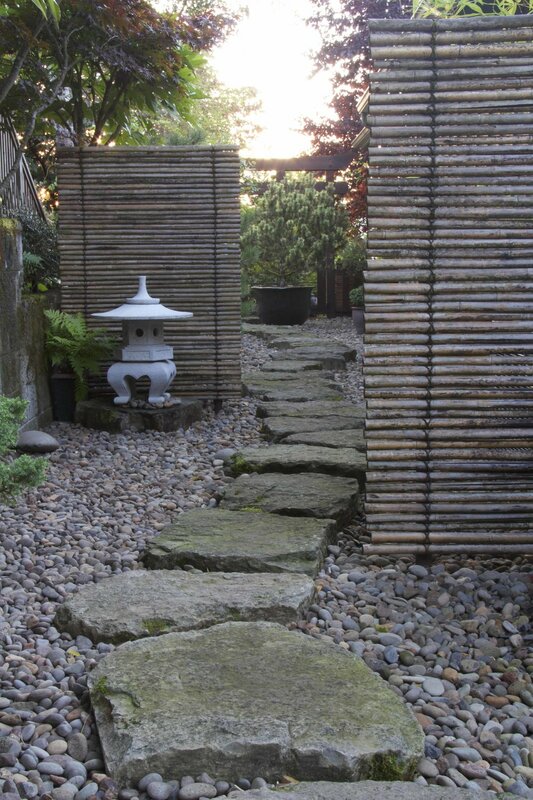 We borrowed the Japanese technique of using large stepping stones as both a stable walking surface and a way to focus attention on the journey, rather than the destination, keeping energy in the tiny garden. Finally, simple bamboo screens frame an enticing view between two garden rooms while hiding the heat pump from the seating area.